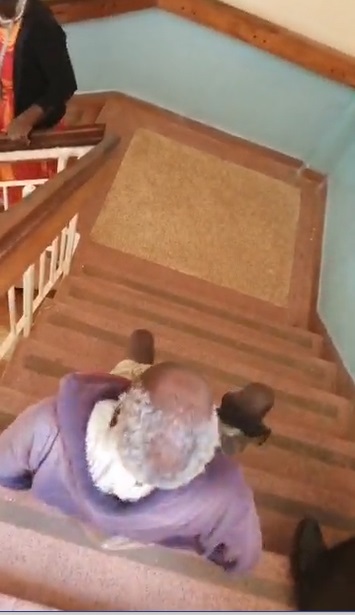 Wednesday, March 27, 2019 - This old and physically challenged man was caught on camera dragging himself down the stairs at Vihiga County offices. The poor man was forced to do so because the building has no measures put in place to ease the movement of physically challenged people. The disabled man dragged his feet all the way to the third floor and back and no one was willing to help him.